Sales Sheet Printing - Next Day Turnaround at 24 Hour Print! Are you in a rush? You can get your sales sheets printed in as fast as 1 business day! 24 Hour Print offers 1-business day printing turnaround for standard sized sales sheets, with or without holes. You can choose between 100 lb. glossy paper and 10 pt. glossy cardstock, in quantities ranging from 25 to 200 pieces. 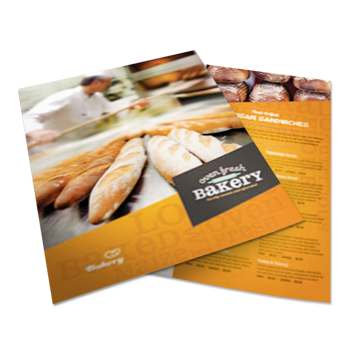 Sales sheets are very good supporting materials for your marketing mix or media kit. Most of the time, it is used as binder inserts, product guides, handouts, and even as an event material. It is good for product presentations, lectures, trade shows, conferences, reports, and events that may require of its use. For your immediate need of sales sheet printing and other print materials, there’s always 24 hour print to aide you. It’s recommended that you download and use our free file setup templates. Our templates can guide you in setting up bleeds and margins for your sales sheets, especially the ones with holes. For more questions on our rush sales sheet printing service, contact us through phone or live chat.